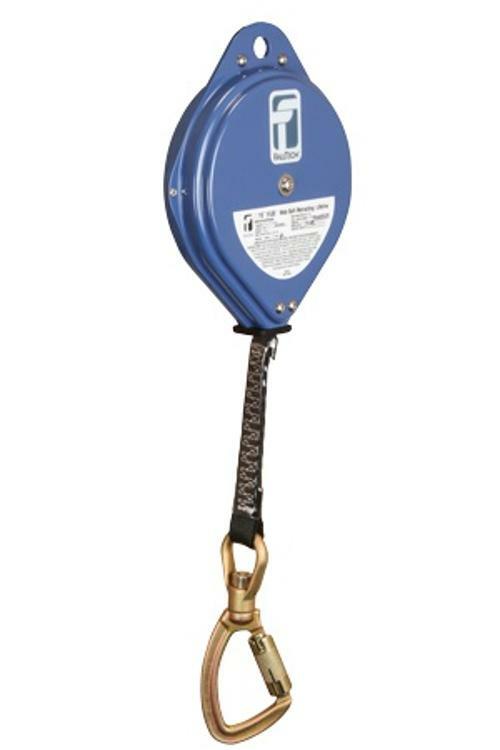 Web SRL with Steel Housing; Load-indicating Swivel Carabiner. Rugged steel housing and polyester webbing provide reliable and durable service life. Load-indicating swivel carabiner clearly shows when a fall event has ocurred indicating the device should be removed. Tensile Strength: Min. 3,000 lbs.